The fallout from the Israeli elections have produced an unprecedented outpouring of stereotypes and racist statements in the media. The ones that got the most attention abroad were those directed at Arab voters by the Prime Minister. But another real problem remains unresolved in Israel: The visceral hatred and contempt that many “Ashkenazi” or European-origin Israelis have for “Mizrahi” Jews, and the way that the media exacerbates racial stereotypes by repeating them without self-critique. In no other democracy in the Western world would a self-described “left wing” person wonder about the need to treat others as equals. Equality is at the basis of a liberal, leftist, and progressive outlook. These authors and many others invent a stereotype of poor racist “Mizrahim” that are responsible for the election of Likud. No one surveyed Likud voters to see how many are actually “Mizrahi.” In fact many Likud voters come from areas that are wealthy and middle class, like my own neighborhood of Rehavia, where at least 25 percent voted Likud. Are Likud voters more racist towards Arabs than Zionist Union voters? Did anyone take time to poll both groups and ask? On a TV program, a former professor was invited on after he had bashed Mizrahi voters on his Facebook account. He told a Moroccan woman on the show that “nothing bad would have happened if your parents had stayed in Morocco and rotted there.” Another campaign on Facebook was started to “punish” poorer towns in Israel by not giving charity to them. Guy Spigelman, CEO of the NGO PresenTense asked after the election in an article in Haaretz, “Why should we feel extra responsibility for the education, health and welfare of all Israelis?” There aren’t words to describe how wrong that is. Some Israelis are trying to search for a scapegoat for Netanyahu’s victory. 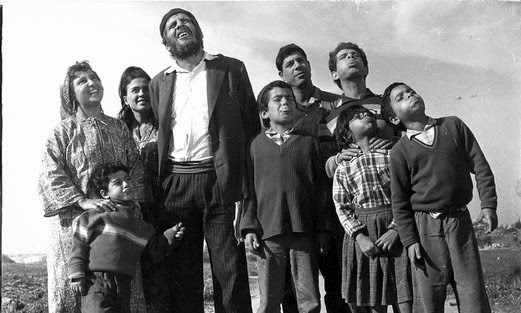 Some of them who define themselves as left wing, “Ashkenazi” and progressive have painted a stereotypical picture of “the poor” as “racist.” It is as if to be born white and from a European family automatically makes you better in Israel, despite the fact that Baruch Goldstein, Meir Kahane, and most of the virulent racists in Israeli history have also been European-origin Jews. It’s time for Israelis to banish this discourse to the dustbin of history. Haven’t Jews been scapegoated long enough without reflecting that hate-mongering tool inward? Ashkenazi and Mizrahi are invented identities, born of a misreading of Jewish history. There were European Jewish families from Egypt and Sephardic Jewish families from Amsterdam who came to Israel; there is mass intermarriage. There are more than a million Russian-origin Jews in Israel; Ethiopians and Druze; and some of them vote Likud. Ironically that by and large the only Ashkenazi on Mizrachi bigotry that exists in Israel today is that of the Leftists. It is true that virtually all Leftists are Ashkenazim. It has always been that way but much more so in the Post Oslo Era. I suggest that Leftists ask themselves why.